Come rafting and save on other area activities! 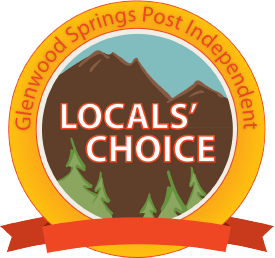 Spend the weekend in Glenwood! When you sign up for any rafting trip you have the opportunity to purchase tickets to other area attractions at a discounted price. We offer discounted tickets to The Glenwood Caverns Adventure Park and The Iron Mountain Hot Springs, which are both less than 5 minutes away from us. Check them out while you're in town. NOTE: Package tickets can be used anytime in the season, you are not required to use them the same day that you go rafting. Just drop by anytime to pickup your physical paper ticket from us in person(you will be required to pay for your raft trip at time of pickup). Your confirmation email, receipt, or reservation name is not a ticket for entry. Tickets are not a guarantee of admittance, of hours of operation, or of any other condition of these outside businesses, which are not owned or operated by us. For additional info on these activities please contact the providers directly at the links below. Enjoy all day access to our favorite local hot springs, just 1.5 miles from our headquarters. Featuring 16 natural hot spring pools on the banks of the Colorado River. Adults are normally $25, just $22.50 per person with your raft trip. No youth tickets are available. Ironmountainhotsprings.com for more info. Cruise downhill through Glenwood Canyon with the best rates on bike rentals. Includes shuttle to Bair Ranch at the top of the canyon, then follow the bike path down the river back to town. Just $35 with your rafting trip. Provided in partnership with Canyon Bikes.